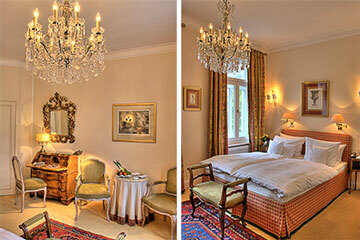 Situated in a classy, nineteenth-century townhouse in the heart of Munich's historic Lehel quarter, the Splendid-Dollmann Hotel offers its guests hospitality, sophisticated ambience and a decor that features superb antiques and artworks, which makes guests feel relaxed and contented in a unique atmosphere. Centrally located, near Munich's municipal transport network, the Splendid-Dollmann is an excellent base to discover the city's many cultural points of interest, located within walking distance. Maximilian Strasse featuring many luxurious boutiques and a wide selection of stores situated in the centre of the city are within an easy reach. The Isar riverbanks and the English Garden located in a close proximity ensure a perfect spot for any sports activity or to relax. 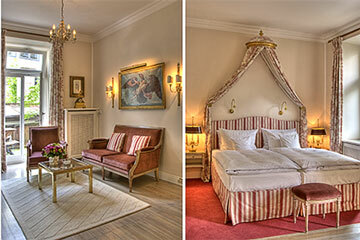 The hotel guests are going to enjoy the Splendid-Dollmann's superb guestrooms, featuring sophisticated furnishings, expensive works of art and classy materials. 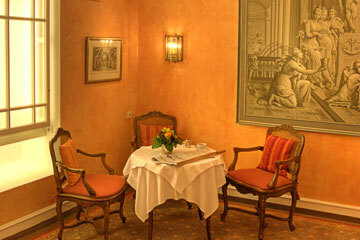 Guests will have an enjoyable breakfast of freshly made coffee and buns with home-made marmalade. 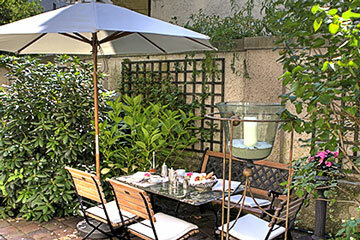 When the weather allows, breakfast can be enjoyed outside in the small garden. The well-maintained, secluded and romantic garden is a small, peaceful oasis where guests may relax and spend some time surrounded by flowers and shrubs. 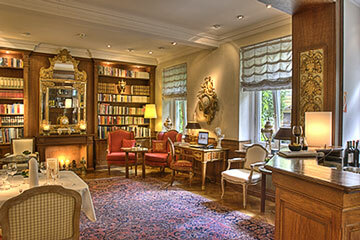 Guests will unwind and relax in the hotel's lobby, set amongst selected fine antiques and arts, offering well-assorted library, fire place and small bar. 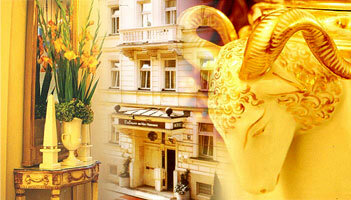 The hotel accepts American Express, MasterCard, and Visa credit cards. The below mentioned rates are already discounted, up to 23% in comparison to the rates offered by the hotel. .
Prices are per room per day including service and taxes. 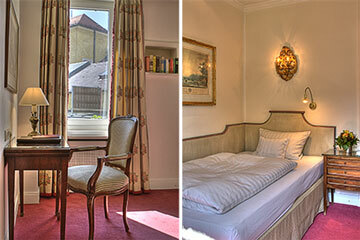 or earlier prior to the guest's arrival to the hotel without any charges. Later cancellations or no-show will require charging for the first night (all nights during trade fair or Oktobefest) if the room cannot be resold. 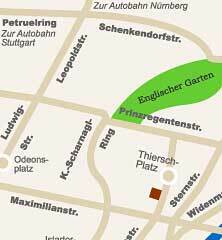 district of Lehel between the Maximilian Strasse and Thierschplatz.